Current practice required engineers to fabricate a commercial mesh as needed to enable the particular process step. The company wished to implement a quality improvement by upgrading to a medical grade mesh, and also to redesign and validate a process to provide the needed sieve/filter. 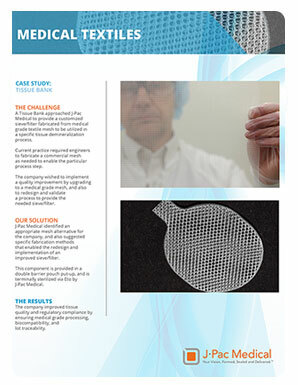 J-Pac Medical identified an appropriate mesh alternative for the company, and also suggested specific fabrication methods that enabled the redesign and implementation of an improved sieve/filter. This component is provided in a double barrier pouch put-up, and is terminally sterilized via Eto by J-Pac Medical. The company improved tissue quality and regulatory compliance by ensuring medical grade processing, biocompatibility, and lot traceability. 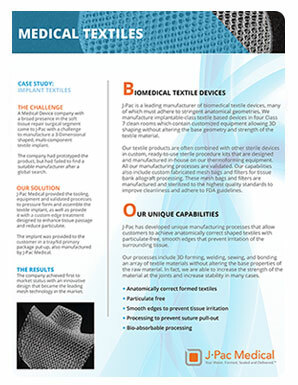 A Medical Device company with a broad presence in the soft tissue repair surgical segment came to J-Pac with a challenge to manufacture a 3-Dimensional shaped, multi-component textile implant. The company had prototyped the product, but had failed to find a suitable manufacturer after a global search. 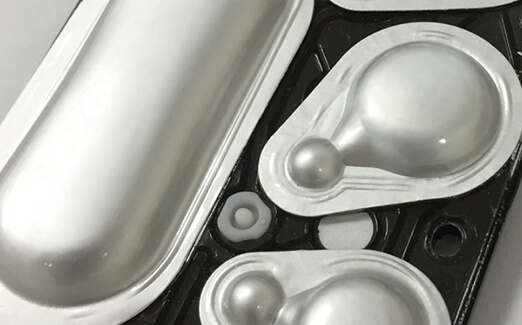 J-Pac Medical provided the tooling, equipment and validated processes to pressure form and assemble the textile implant, as well as provide it with a custom edge treatment designed to enhance tissue passage and reduce particulate. 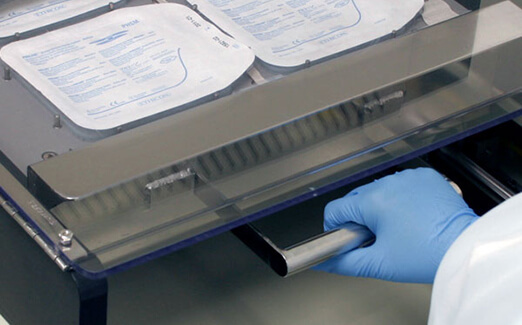 The implant was provided to the customer in a tray/lid primary package put-up, also manufactured by J-Pac Medical. The company achieved first to market status with an innovative design that became the leading mesh technology in the market.